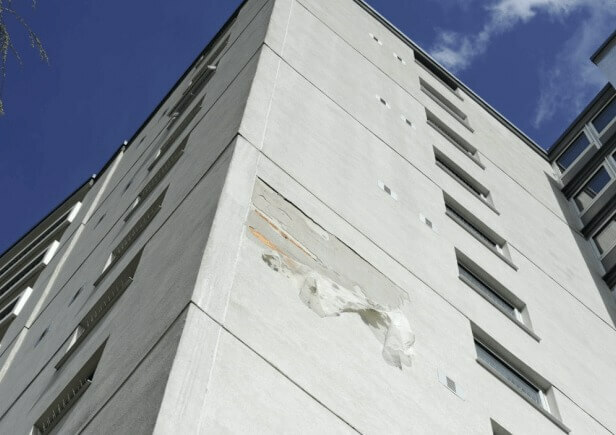 Solid wall and external wall insulation systems have been a popular choice to improve the energy efficiency of buildings for a number of years now but did you know they are failing at an alarming rate? 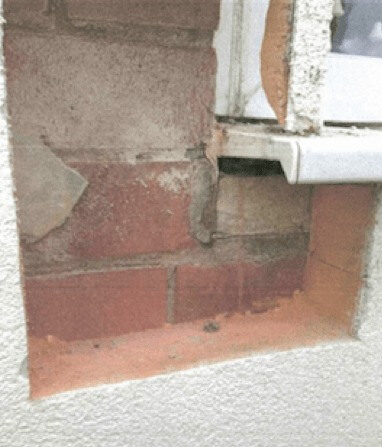 We have reviewed a number of systems failures in high rise blocks and have consistently found problems relating to inadequate design, poor installation standards, poor management and storage of site materials and poor detailing around windows and other junction details, so that in effect, the defects are being built in. We are a leading UK expert in these system failures and can carry out a comprehensive investigation and provide documentary evidence as to the cause of your system failure. Our investigation & report will determine whether the system has been poorly designed, poorly managed & installed or poorly maintained. We believe that good design is the key to successful EWI installations. We have a detailed knowledge of non-traditional housing and solid walled properties and can carry out a detailed structural assessment in both low rise and high rise stock. 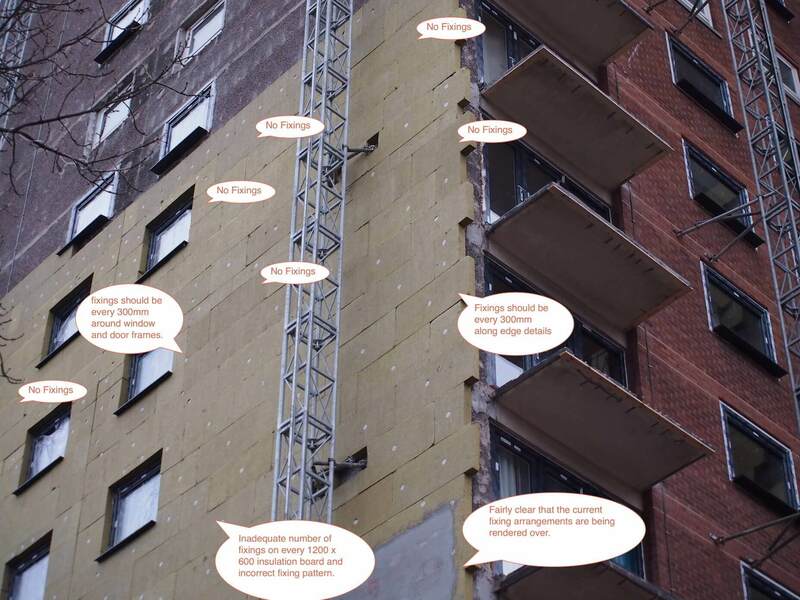 This assessment is critical to understanding what type of EWI system can be safely installed, particularly with regards to reaching a decision on whether a structural or non-structural EWI system should be used. As Chartered Building Engineers with an expertise both in building technology, structural assessment of ‘hard to treat’ properties and external wall insulation systems, you can be assured of the very best guidance in planning your EWI project. Moreover, if you want our expertise in project managing your EWI installations then you can rest easy that works quality management will be to the highest and exacting standards. Please call us to discuss your EWI project. 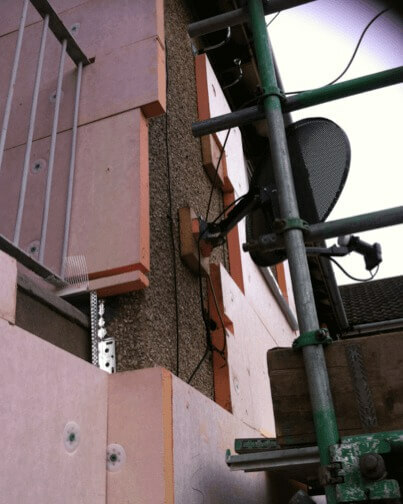 What you can expect from an EWI Failure Investigation. 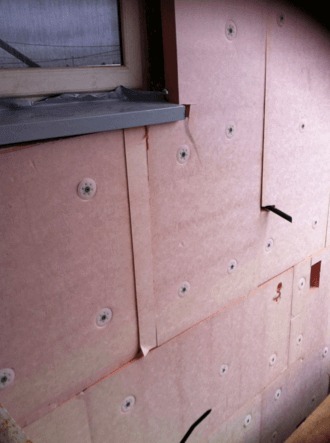 A thorough desktop review of the building construction type, the EWI system, the system component parts and a check to ensure it meets BBA approval. A review of any additional reports provided by the system manufacturers or installers. A detailed review of the design process. A thermal imaging survey to help pinpoint areas of failure. An initial internal investigation of any damp areas to establish whether the cause is penetrating damp and to carry out an initial visual external assessment to easily accessible areas and to collect photographic evidence for further desktop review. An assessment of all supplementary factors such as windows, wall fixings, external vents, parapet wall details, sealants etc. A detailed invasive site investigation focussed to specific areas as directed from initial survey work. This will involve opening up the render system to assess the severity of failure and the cause. Finally, we will provide a detailed written report that includes a photographic defect schedule of our findings, our conclusions as to the cause and responsibility for failure, and detailed recommendations.